Haddenham is a popular Buckinghamshire village, with good amenities and transport links. The Woodlands was opened there in 1976, and has recently undergone extensive refurbishment works, replacing kitchens and bathrooms, as well as upgrading pipe work. Accommodation comprises of bungalows along Butte Furlong, and over 30 flats in Woodlands itself. It also has excellent communal facilities, including two lounges. 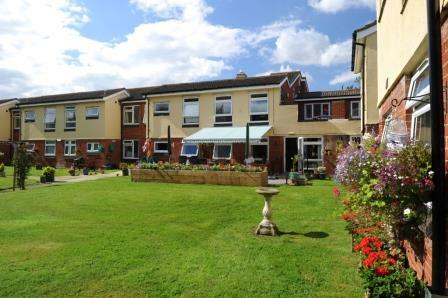 Set in a large garden, Woodlands also has a patio area and a large car park. 53 units: 22 2-bedroom bungalows and the rest one-bedroom flats, 17 for single occupancy, and 14 for couples. Lifestyle: Local Hairdresser (manager to book/arrange appointment for resident); Regular bingo (every Friday); Gardening Club (every Thursday); Soup Lunch (monthly); wii-fit – (shared with all schemes); Mobile Chiropodist (appointment booked via Supported Housing Officer, or call to arrange an appointment yourself). Visit ‘upmystreet’ for further details on what there is in and around the ‘Haddenham’ area. Pets: Cats and dogs not accepted in flats, but they are permitted in the bungalows.